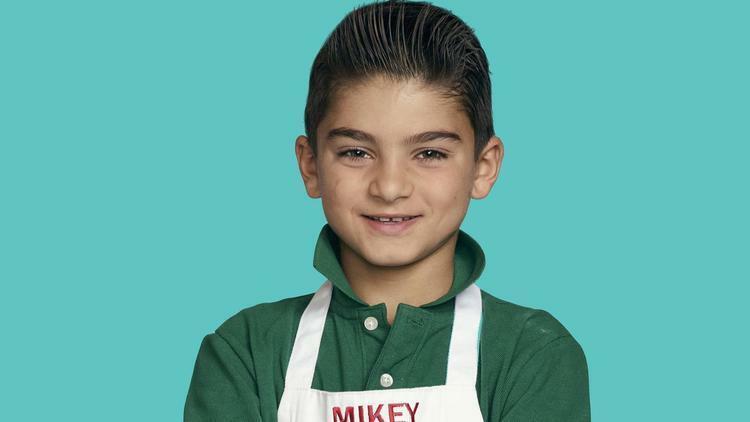 It was a good night for most of the Chicago-area contestants on “MasterChef Junior.” Clarendon Hills’ Mikey DiTomasso earned praise for his plating skills, but Northwest Indiana resident Ben Watkins continued to struggle in the Fox network competition. Friday’s episode began with a sweet challenge: Nine of the contestants were split into three teams and tasked with making as many milkshakes as possible in 10 minutes for a chance to win immunity in the next round. Ben was on the red team, while Oak Park’s Pierce Cleaveland was on the blue team. No Chicago competitors were on the yellow team. Mikey and Pilsen’s Beni Cwiakala were among the 13 contestants cheering from the sidelines. The yellow team won the challenge by making nine shakes. Pierce’s blue team placed second with seven shakes, and Ben’s red team came in last with five shakes. Pierce, the rest of the blue team and the yellow team did not have to participate in the elimination challenge — serving chicken and waffles with a signature twist in 45 minutes. The judges visited Ben’s station as he was starting to fry his chicken. He told them he wanted to incorporate white chocolate into his dish again. The judges reminded him that his white chocolate fruit tart on last week’s episode was not very successful. Ben, who was 10 years old during filming, ended up serving chicken breaded with cornflakes and a blueberry waffle with maple syrup whipped cream. Mikey, meanwhile, wowed with his herb-and-cheddar waffles with potato-chip-crusted chicken and honey thyme glaze. Beni’s critique was not shown. Ben landed in the bottom again, but advanced to the next round because two other contestants served bland dishes. Michigan’s Lindsay Hayes and Grayson Boudreaux, of Louisiana, were sent home. Twenty home cooks between the ages of 8 and 13 are left to battle for the Season 6 title. “MasterChef Junior” airs at 7 p.m. Fridays. The winner gets $100,000.